300,000 UK hospital admissions each year are from stair accidents. 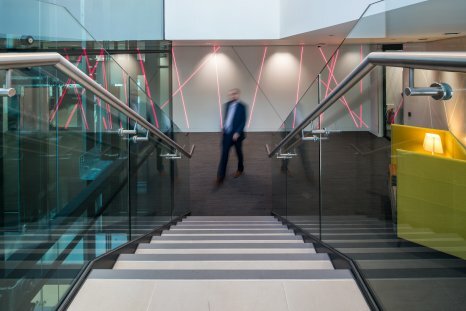 We work with the UKSRG, an independent body that represents companies with an interest in floor safety, in particular, the slip resistance of surfaces on which people walk. As such the group has been aware that one major area where ‘slips’ occur is on stairs, and accordingly commissioned a small working party of members to produce a document which would contain cohesive guidelines for anyone who has a vested interest in making a stair a safer place.